Comparative Agility announced at the Scrum Alliance 2018 North American Global Scrum Gathering in Minneapolis that it will provide a valuable benefit to Scrum Alliance certified professionals. Comparative Agility is an Agile assessment and continuous improvement platform with more than 2+ million data points, 30,000+ unique respondents and intelligence from more than 2,000 organizations. Ivar Jacobson International (IJI) has announced that it wass expanding its partnership with Scrum Inc to propose the first certified Scrum@Scale classes to the United Kingdom. Scrum Inc announced another partnership with the Scrum Alliance recently. CollabNet VersionOne has announced the 12th annual State of Agile report. The report compiles the results of the 12th annual State of Agile survey. This State of Agile report captures responses from more than 1,400 software professionals in a number of industries and roles from organizations of all sizes, providing insight into the realities of Agile and Scrum. 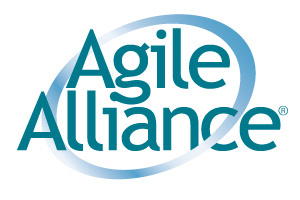 The Agile Alliance has announced the program for Agile2018 conference, the largest international gathering of Agilists. The conference is widely considered the premier global event for the advancement of Agile practices. Scrum Alliance and Scrum Inc. are launching a new joint venture to train, coach, and promote Jeff Sutherland’s Scrum@Scale framework for Agile transformation that is designed to scale Scrum across entire organizations. Agile on the Beach 2018 presents its speakers line-up for the eighth Agile on the Beach conference that will take place this July, in Falmouth, Cornwall. Opening Agile on the Beach 2018, the conference welcomes Gert Gigerenzer from Berlin, Germany as the first keynote speaker. He is internationally known for his award-winning books “Calculated Risks, Gut Feelings: The Intelligence of the Unconscious”, and “Risk Savvy: How to make good decisions”. Woody Zuill from the USA will deliver the Friday keynote at the conference and running his NoEstimates workshop. Scrum.org has announced its new Scrum with Kanban course to teach individuals and teams how to use Scrum with Kanban practices, without changing Scrum. Scrum.org has collaborated with Daniel Vacantito create the course. In 2007 he helped develop the Kanban Method for knowledge work and has been conducting Kanban training, coaching and consulting ever since.